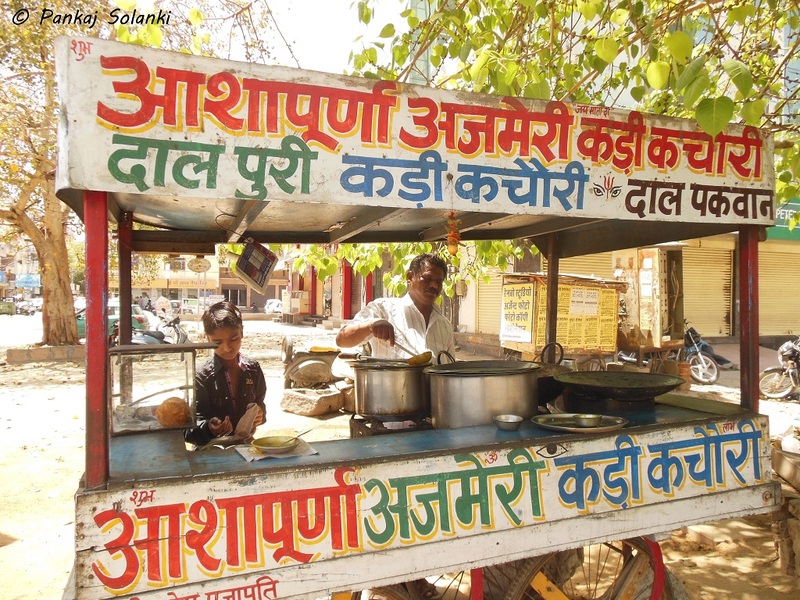 This mouthwatering post has been written by Pankaj Solanki from Jodhpur. He wrote to me saying I accept guest posts quoting a post by my husband! After the hilarious exchange I agreed to accept his post as an exception! So here we go, over to Pankaj! It was my reaction when I ate one of the most delicious Pulao at The Recipe. It was birthday of one of my cousins. But, that was the start of a chain that continues even today. I keep going there and they keep feeding me tasty food! Anyway, Jodhpur is the place of Royalness and Forts. Talking about Forts, Mehrangarh Fort is one of the largest forts in India. Talking about Royalness, Umaid Bhawan Palace has become the best hotel of the world. 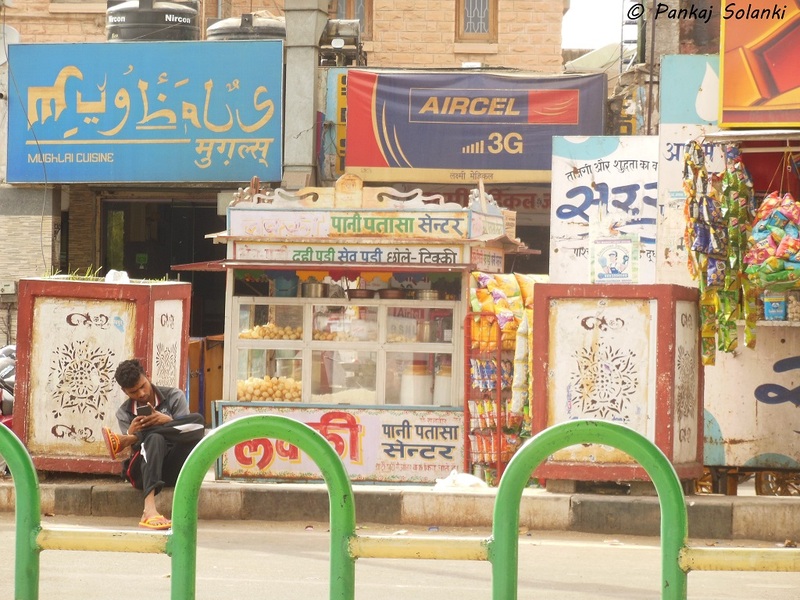 Recently, Jodhpur has become quite popular. Celebrities are celebrating their weddings & birthdays here. From Bollywood movies Veer to Hollywood movies The Dark Knight Rises, they have featured its forts and landscapes. On 2 April 16, Jackie Chan and the team of upcoming movie “Kung Fu Yoga” visited Jodhpur. They are filming a song here in Mandore Garden. Well, other than these forts, food of Jodhpur is famous. You might have noticed some Sweet Shops with name “Jodhpur Sweets” in other cities. This brings me to the point that many Indian cuisines had their birth here. The famous Mawa ki Kachori, invented by Rawat Mishthan Bhandar (Late Rawat Mal Ji Deora), is a good example. And, to enjoy these Jodhpur food items, you will need some places to eat. If you have read this far, you already know how much I love food here. It’s a hygienic, quiet and chill place to eat. It is a family friendly restaurant. They have Indian, Chinese & International food items. The service is fast & staff is friendly. This is a veg place. But, non-vegies will not be disappointed here. Some of must eat food items here are: Pulao, Paneer Tikka, Malai Kofta and hot Cheese Naan. This is a restaurant located in Sardarpura. It too is a family restaurant. They serve Chinese, Continental, Punjabi and South Indian cuisines. The staff is good & service is prompt. There is a separate section for Fast Food (+ Street Food). Everything is at one single place. Some of must eat food items here are: Paneer Mumtaj, Pizza, Papri Chaat, Aloo Tikki & Ice creams. Being popular, it is always over-crowded. On weekend, you should book a table in advance. The prices are reasonable. Juice works as a relief in hot summer (like right now). Almost everyone love juice. Vijay Juice Bhandar is located at C Road, Sardarpura. They have almost all kind of juices & shakes. You can have juice from Apple to Orange, all. There are service boys available, who serve juice when you want to enjoy it in the car. Just park your car OR taxi near the shop, press horn. A guy will come, order whatever juice you want, in a minute he will come with juice. Drink & Pay! Simple. But, being in Sardarpura, it is crowdy & sometimes there will be no space for parking. I think Mac D does not need an introduction here. It is a successful burger Franchise operated worldwide. It has made its entry in Jodhpur. It is located in Ansal Royal Plaza, Jodhpur. They have veg as well as non-veg burgers. They have different packages available. You can also order cold drink. There are TVs playing commercials so that you don’t feel bored. If you fall sick eating street food, grab a Burger here. The Cheese Burger & French Fries are all I crave here. BTW, other than Mac D, Ansal Royal Plaza is worth visiting too. Use the moving stairs and climb up, you will get huge scenes of Jodhpur here. This place is famous for Dosa. So, if you love Dosa, then you will love it. Other than Dosa, they are a group of small Raidis. They have Sandwich, Chow Min, Paav Bhaji etc. Just next shop, to it, is of Sugarcane Juice. Very tasty juice! Another shop near Ramdev Dosa Corner serves ice-creams, Cold drinks etc. So eat & chill here. Its actual name is Jai Bhawani Dhaba. But it is known as DPS Dhaba because it is near DPS School. It is somewhat away from the city (15+ kms). Being on highway it attracts people. Truck drivers, tourists, and locals you will find many people here. They serve hot & fresh food here. “Sev Tamatar” is by far the best dish here. They also serves Kulfi (Indian ice-cream). Outside: Dhaba style. Sit on Khaat (Somehing like Cot OR Bedstead, but Indian touch to it) & enjoy food in open space. I prefer it. Inside: Traditional restaurant type. Table-Chair. Backside: Garden Restaurant type. They have well-maintained lawn. If you want to have Rajasthani dinner, go here. Dal Bati Churma is so much famous in Rajasthan that there are specialty shops out there. This is one of those shops devoted to Dal Bati in Jodhpur. Clean and well maintained. Being a Marwari, Dal Bati is prepared at my home at functions like Baba Ramdev Jagran, Jumma etc. Locals as well as tourists love this place. It is totally healthy food. Ghee servings are optional. You pay for it only if you take it. It is a great Raidi located in front of Manidhari Hospital & near Barkatullah Khan Stadium. It is more of a street food type. The owner is Prem Raj Prajapati. He takes a Kachori and cuts it into pieces. He adds Kadhi to it. Then, he adds many Masalas, Chutney, Onion & Mirchis etc. The end product is very tasty. It is called Kadhi Kachori! Other than Kadhi Kachori he also serves Dal Puri & Dal Pakwan. Worth eating these, tasty surprise for many people here! This shop is located at Jalori Gate Circle. Being in crowdy market it attracts large sum of hungry crowd. Surya Shahi Namkeen specializes in Samosa. The popularity can be seen from the fact that as soon as the lot of Namkeens arrive, it gets sold out. I have waited for my chance to grab Samosa here many times. It is worth waiting. You can ask them to pack Namkeens for you to take home. They also serve bread. Other than Samosa, you can have Kachori and Mirchi Bada. This shop is located on Chopasani Road near Cheergarh. This is where I get all my Mirchi Badas. It is same here. People are always waiting for their chance to grab Namkeens. During “Fast” times like Navratra, Shiv Ratri etc, they offer “Sahgar Namkeen”. I take all my chances to get Sahgar Mirchi Bada. You get it occasionally & it is awesome in taste. Can’t describe it in words. 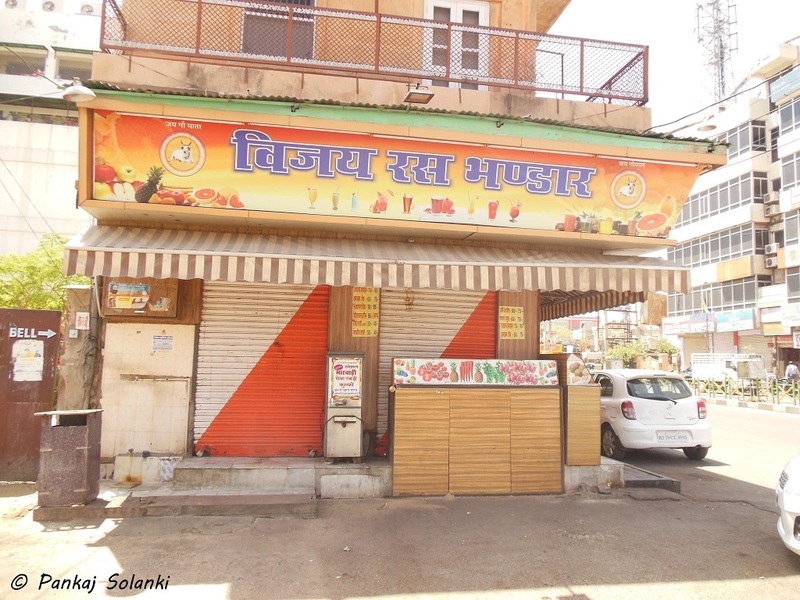 When you visit Jodhpur during festive seasons, make sure you taste Sahgar Mirchi Bada. Other than Mirchi Bada, they have all kinds of Namkeens. Namkeen Kaju is another item I like. This is where I get my Namkeen Onion Kachori (+ Dal Ki Kachori) from. They are probably the best. And, if you are fan of sweets, you will be in heaven here. All the good sweets are available here. The place is well maintained and hygienic. You get assured quality sweets. Some of must eat sweets are: Kaju Katli, Jalebi, Anjeer Katli, Mawa, Rasmalai, Motichur Laddu, Gulab Jamun, Makhan Vada & Gewar (try it at every cost). You can ask them to pack these sweets and take back home with you. It is a Raidi in front of Pal Balaji Mandir (on the other side of the road). Pal Balaji is a famous Mandir of Lord Hanuman in Jodhpur. It has been 4 years. I have been going there to eat Chaat & Bhel Puri. It also has other food items. Pani Patasa is good here. But, I like Pani Patasa of Mahalaxmi Sweets (covered below). This is the center of Jodhpur attraction. Shastri Circle is a park in Shastri Nagar. Near the park are all kinds of food stores. From Kulfis to fast foods to restaurants, you will find everything here. Do visit in Evening. As it is the time most people visit the park & all the Raidis and Shops are open during this time. This is a tea shop located near BSNL Office Sardarpura. It is a famous shop in Jodhpur. It serves Tea & Cofee. Tea is very tasty. Do visit it, if you are a tea lover! Anytime you go, you will find at least 40-50 people enjoying their tea here. It’s a bakery shop in Jodhpur. I like Pineapple Cake here. 15 AD has many branches in the city (Bhati Circle, Sardarpura, Aakhliya Circle). But, the Sardarpura one is the most amazing. I will be talking about Sardarpura one here. The moment you taste cakes and pastries here, you will fall in love with it. They serve in-house Cakes, Pastries, Cookies and Bakery Products. This place is veg. Don’t get disappointed non-veggies! They also serve Mini Pizzas, Snacks and Sandwiches. All products are fresh and the store is cleaned and hygiene. Must eat items: Cake, Chocolate Pastries, Bread Loaf, Pizza, Hot Dogs and Cream Rolls. This is supposed to be a Sweet shop & it is. But I’m not mentioning it here for sweets. What I like here is Pani Patasa. It’s all because of the quality of Patasa. It’s like Pani Patasa of whole Jodhpur vs Pani Patasa of Mahalaxmi Sweets. The Patasa is outsourced, but I don’t know where they get it from. It is awesome! Their masalas & varieties of Pani also aids in the taste of Pani Patasa. Though they are pricy, but due to the quality, I don’t mind going there. If I can say you eat only one food item from this list, then it will be the Pani-Patasa from this shop. This is all I can say about the Pani Patasa here. Sure, today, these are my favorite places to eat in Jodhpur. But, I don’t know for how long. A shop gets new location (rented ones). My favorite cook leaves his job. Entire Raidi (temporary shops along the roads) is shut etc. If you have been already to Jodhpur and tried some places, make sure to share your experience. And, if you will visit Jodhpur in future, keep this list bookmarked. When you find anything new, share your experience here. Whether you have 1 day, 2 day OR 5 day stay in Jodhpur, try food other than what your hotel provides. You will be amazed. Having a list of right places-to-eat (this list) will help you fully exploit the time you have in Jodhpur. Keep Eating! PS: I welcome your comments, views, experiences, questions! 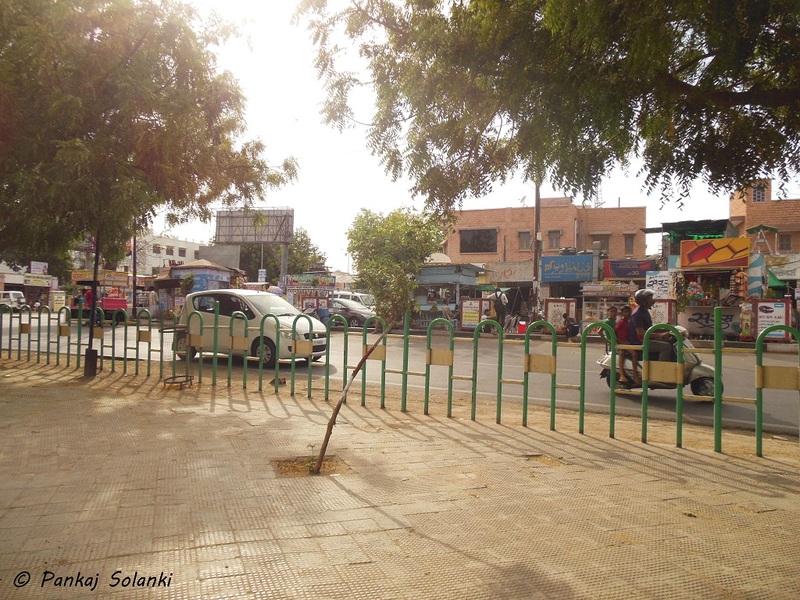 AUTHOR BIO: Pankaj Solanki is a Food Fanatic, living in Jodhpur. Check out his site Suncity Jodhpur, before visiting Jodhpur. You will find a whole new set of things to try!